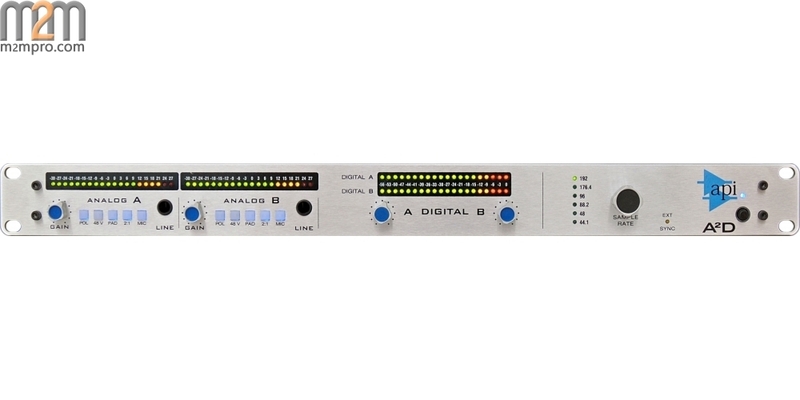 The first API product with an integrated digital output, the A2D contains a pair of API 312 Mic Preamplifiers that feed an A/D section with a set of standard digital interface outputs, multiple sample-rate choices and internal or external clock options. 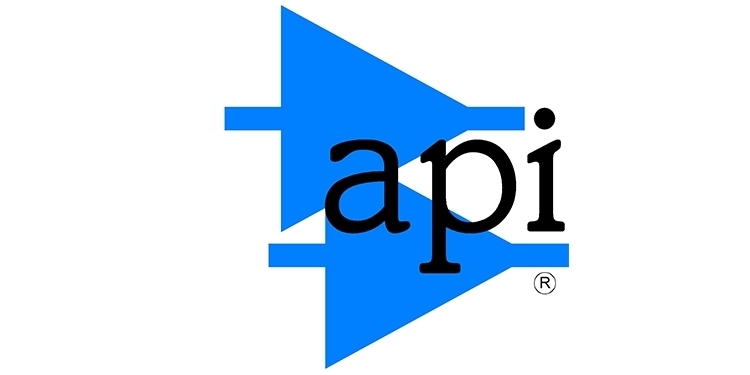 Precise control of both the Analog gain and the level feeding the digital section means that the microphone signal may be kept super-clean if desired or driven harder to achieve the warm, punchy "API sound." The A2D Analog section consists of the circuitry contained in two 312s, half of that of the popular API 3124+. A level control pot with an expanded 20-segment metering system shows precise mic gain levels, while control switches include polarity, 48v phantom power, input pad, Mic/Line select and 2:1 transformer routing, which selects a lower gain contribution from output transformer. 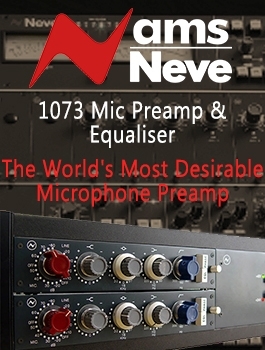 Each analog input contains a balanced low-Z input XLR connector and a high-Z instrument input on a 1/4" jack. 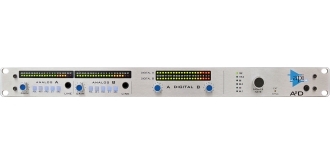 The digital section of the A2D includes two API discrete 2510 amplifiers with level pots to adjust the feed to the A/D converters, each with a corresponding 20-segment calibrated meter. A multi-position switch selects the desired sample frequency. The External Sync LED will light when an external clock signal is used. The A2D's digital interface connectors are a SPDIF single-ended RCA connector and an AES digital out on XLR. A coaxial BNC accepts external Super Clock, which will illuminate the front panel EXT SYNC LED when locked. 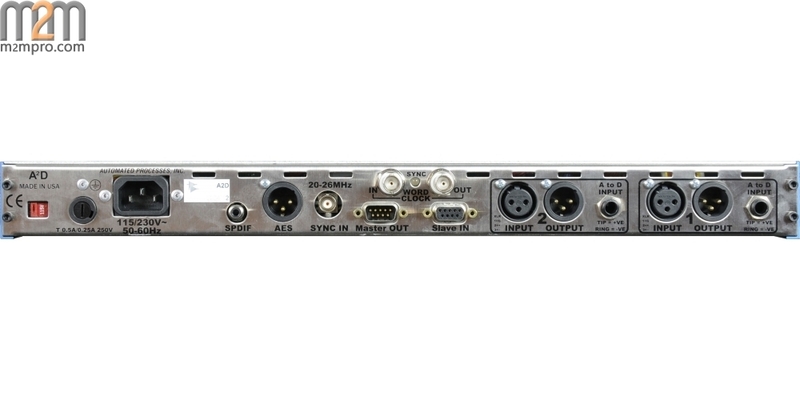 Additionally, the A2D comes with a pair of 9-pin D-sub connectors that allow the multiple units to be linked together with all units operating off the first sample-rate clock in the chain.